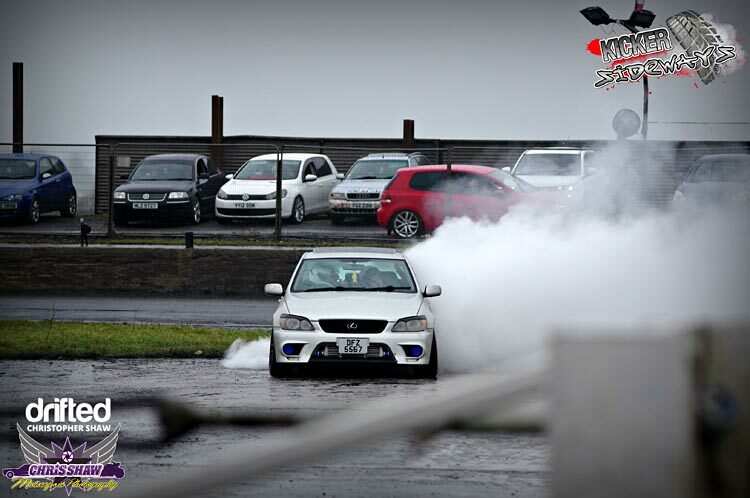 Chris Shaw reports from the Nuttscorner Oval for the Valentines Drift Mayhem event. 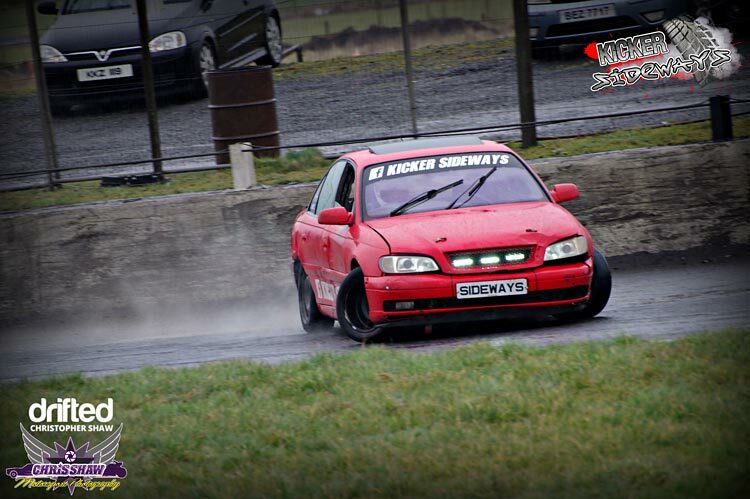 Kicker Sideways – Who are they? 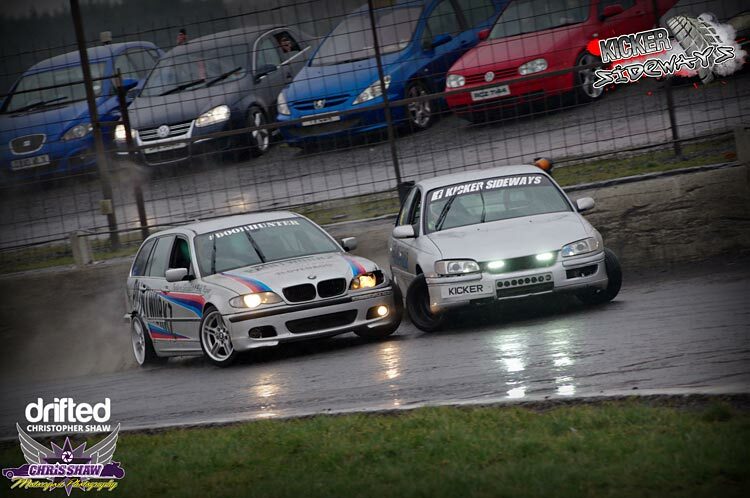 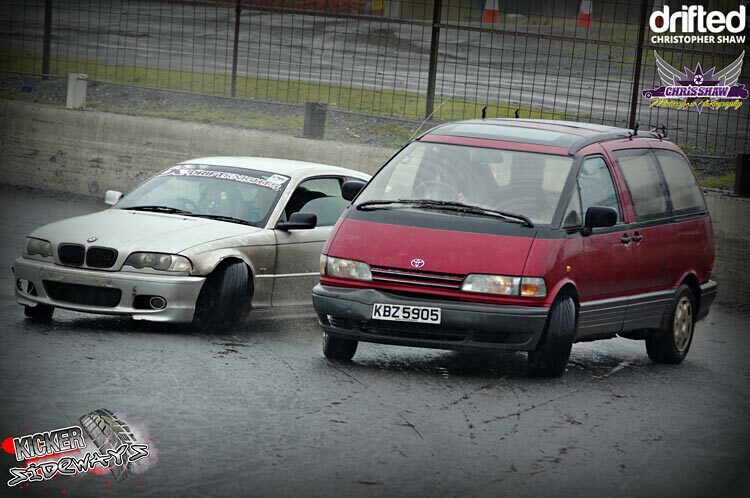 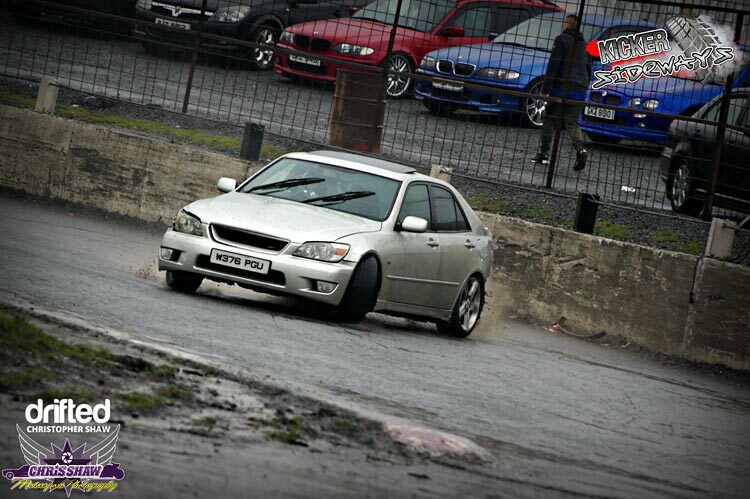 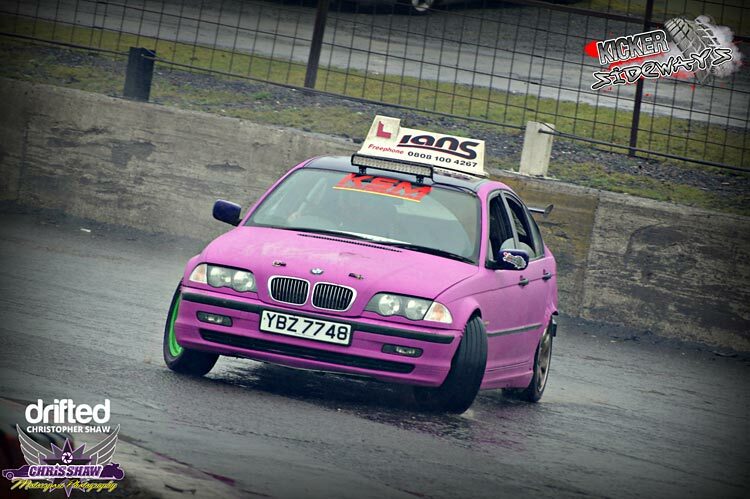 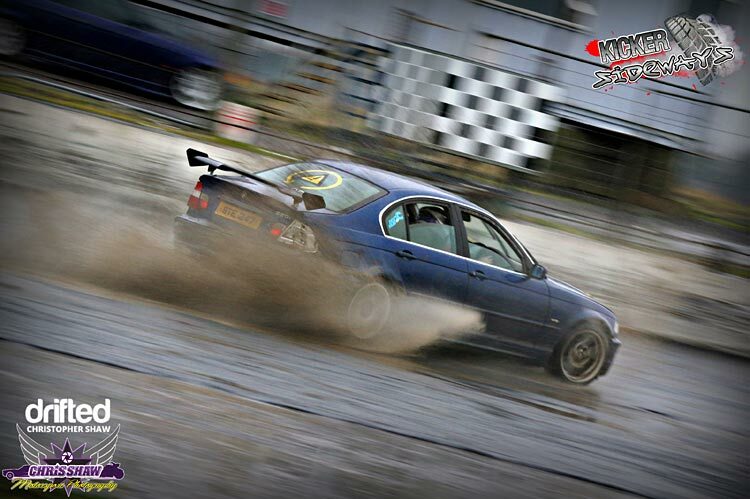 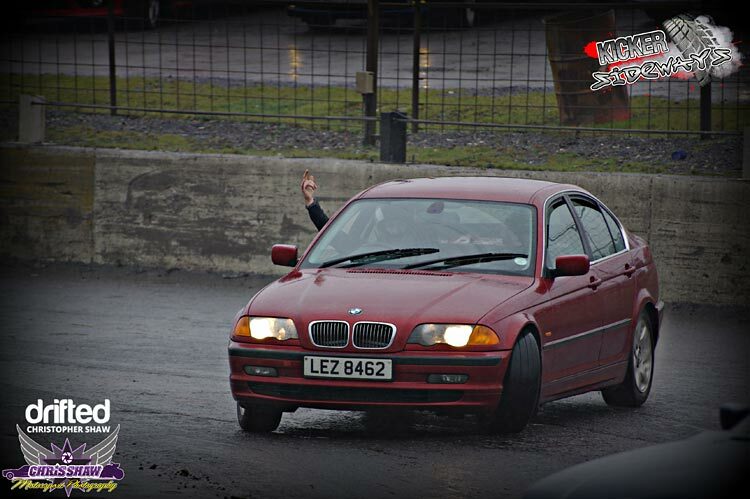 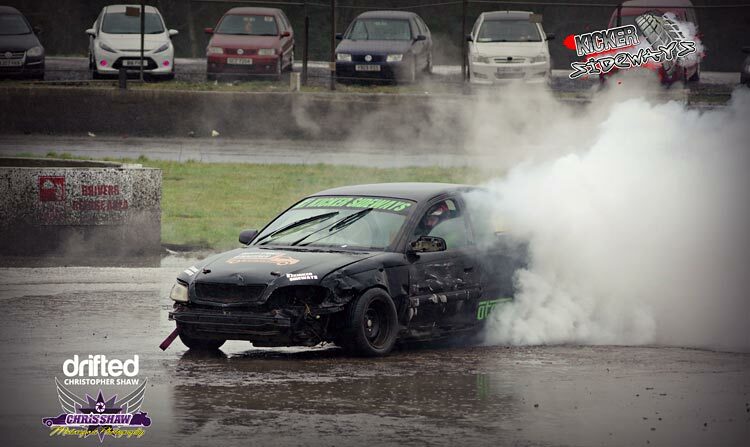 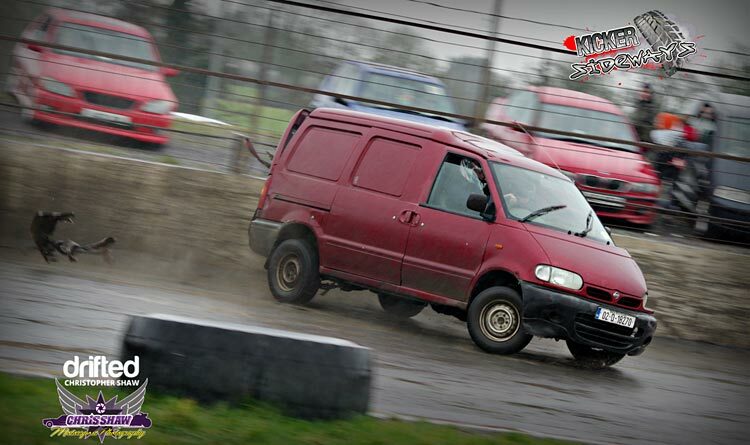 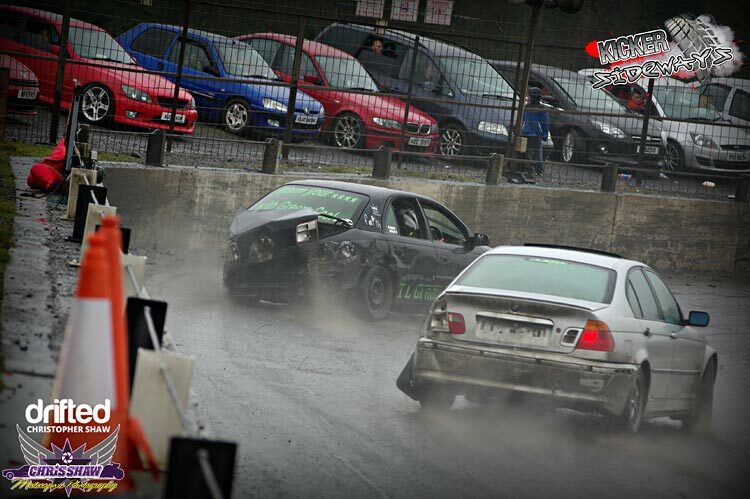 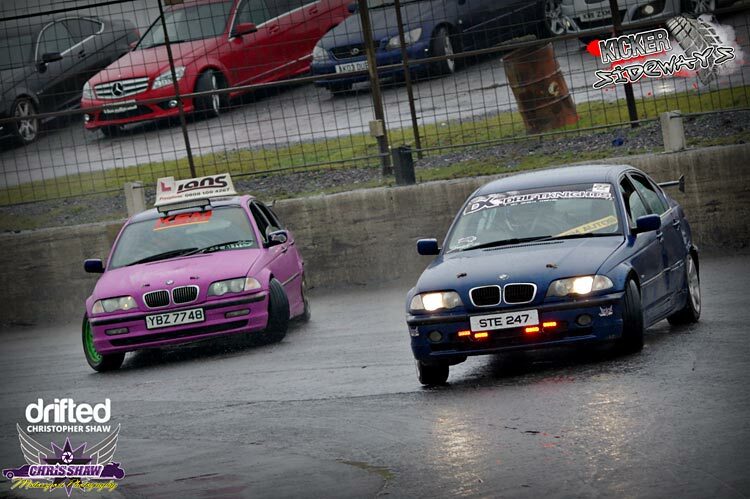 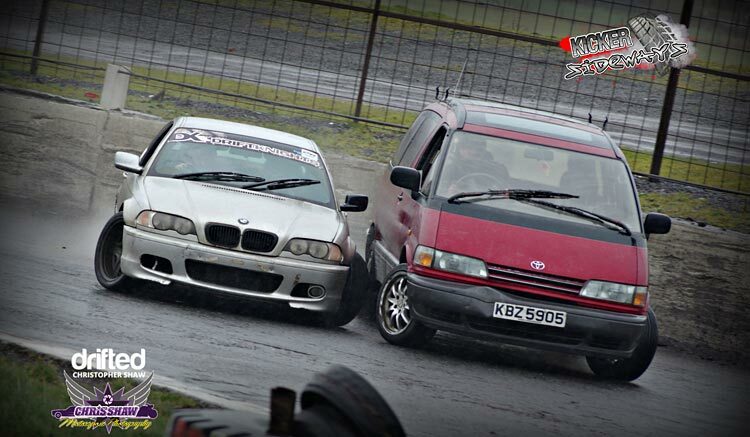 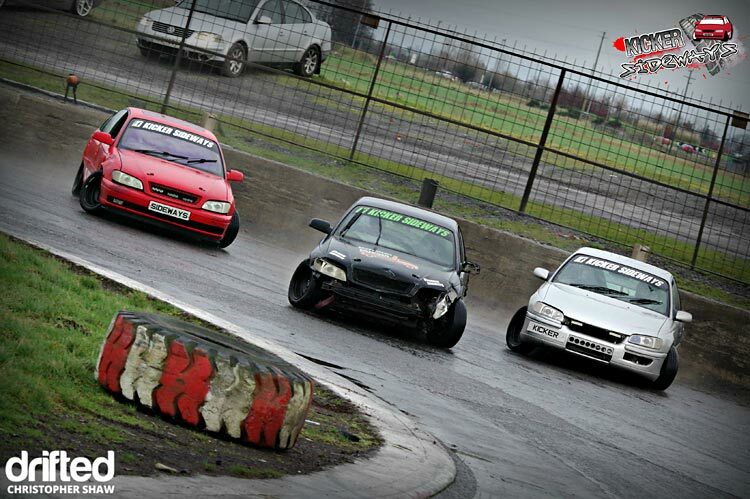 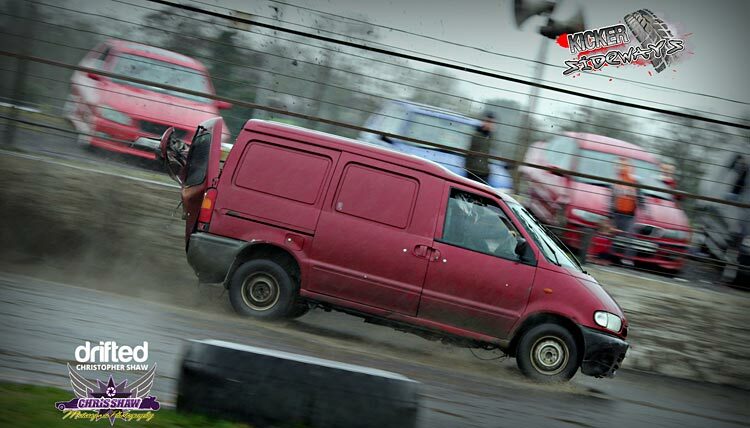 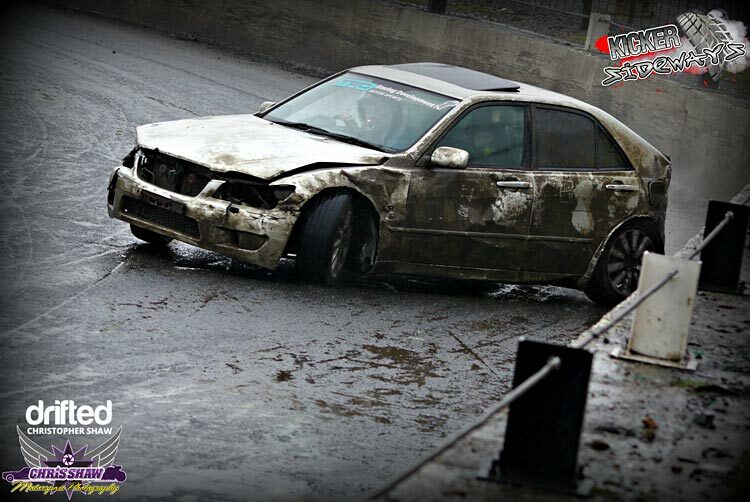 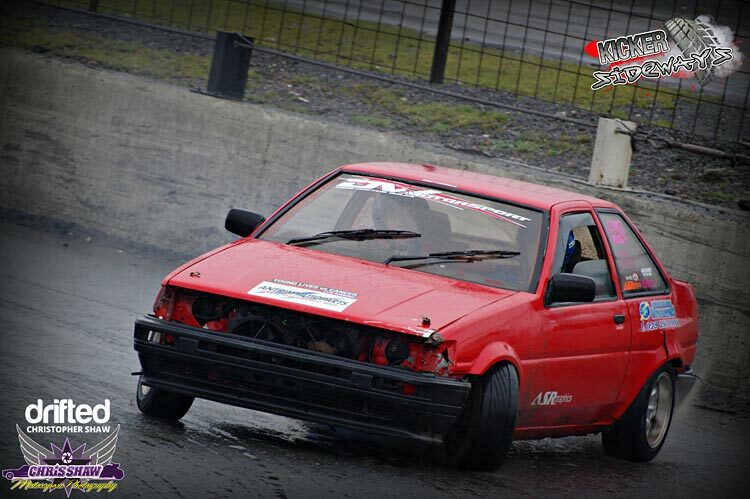 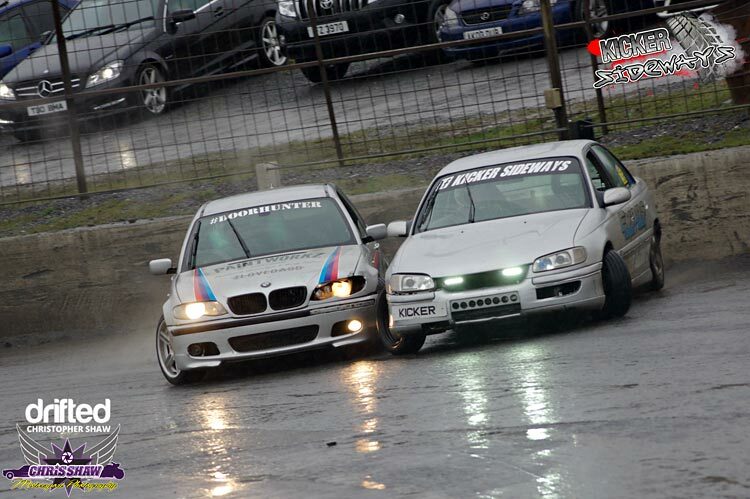 Kicker Sideways is a four-man drift team from Belfast, Northen Ireland. 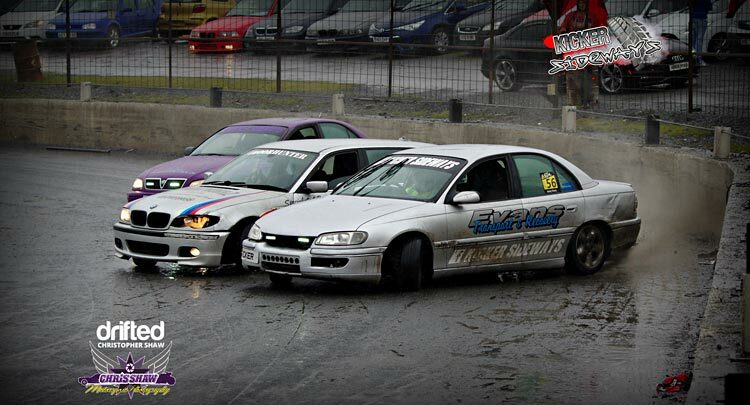 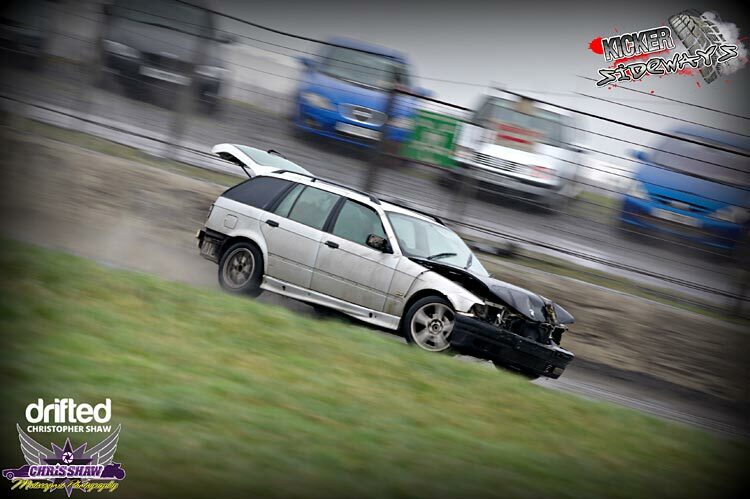 They enjoy non-competive drifting and all run full drift spec V6 Vauxhall Omegas. 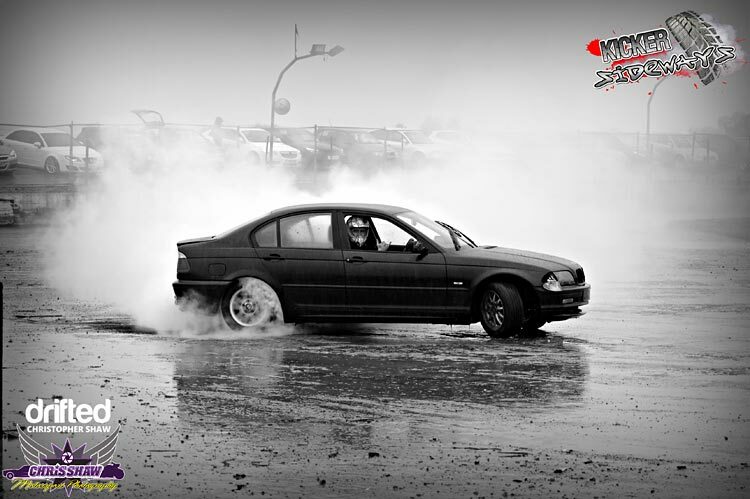 They ran their first drift event in the Summer of 2017 at Nuttscorner oval. 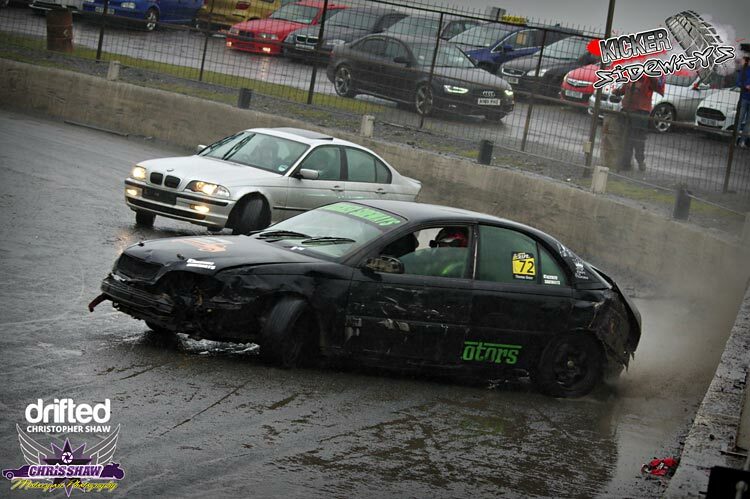 After a successful day they decided to run a second event for a Halloween themed drift day at the same venue as before in October 2017, with even more of a turn out at this Halloween event they decided to make it a reguler occurrence. 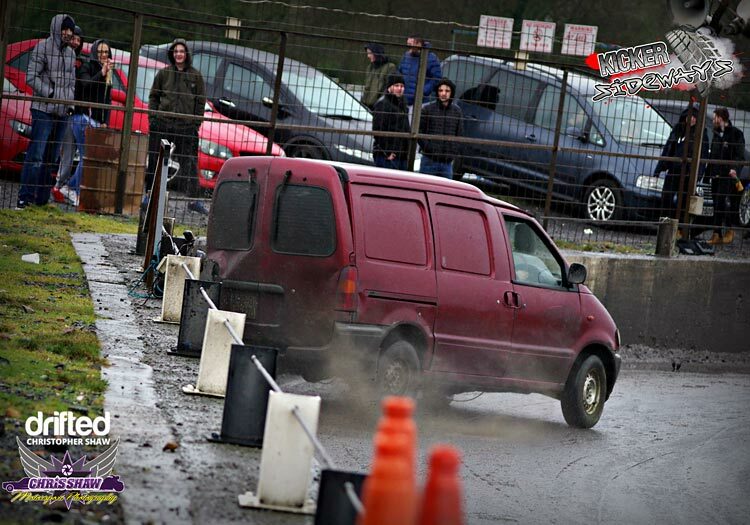 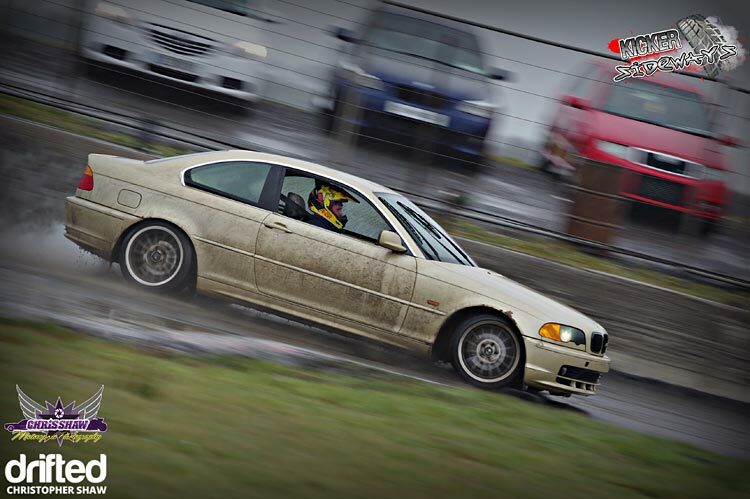 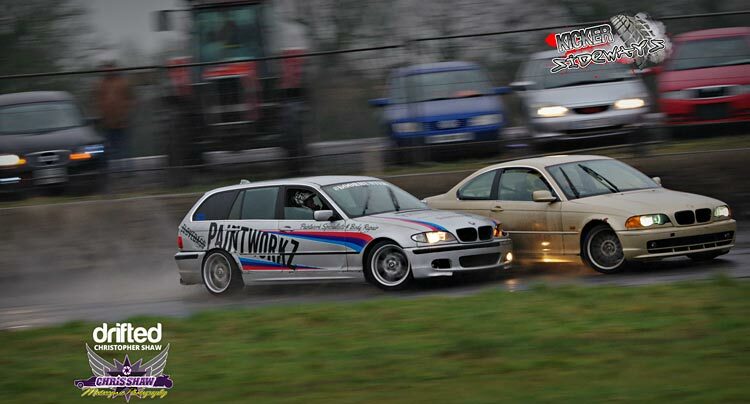 They kicked 2018 off with their first event on 18th February and it has been the most successful event to date with live music, night time drifting under a flood-lit track and over 500 spectators who turned out to watch over 60 cars go head to head on-track. 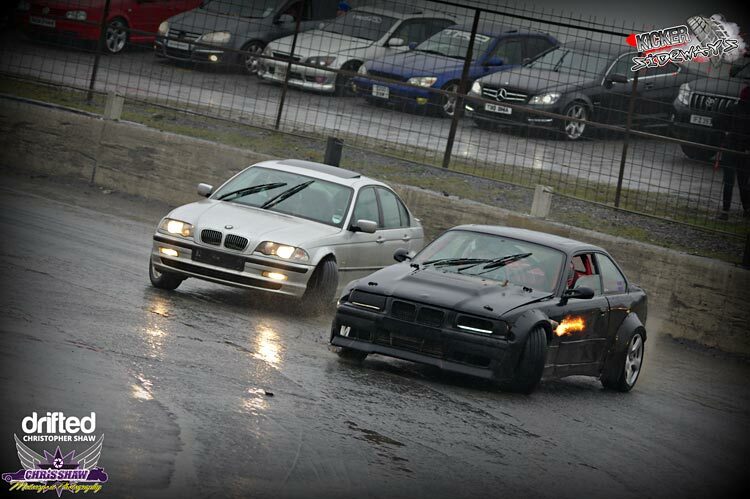 There is a limit of 10 cars on track at a time and they all get 5 minutes to drift as much as they can. 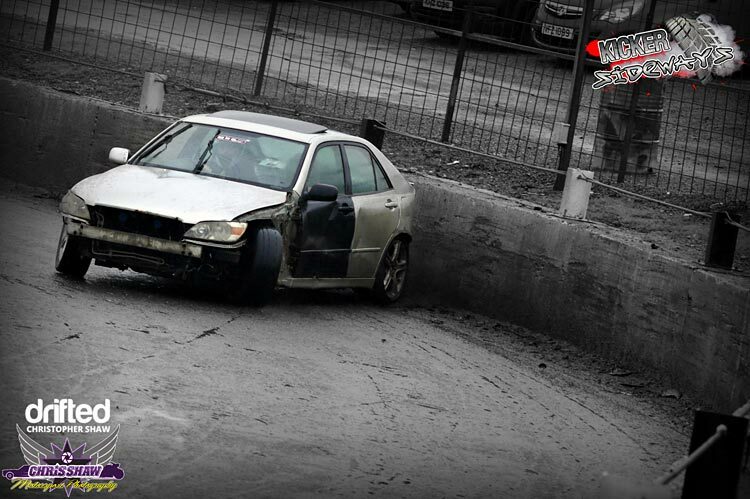 The spectators watched in amazement as the drivers went door to door driving hard, they also witnessed the unlucky drivers bash their cars of the 4ft thick, solid concrete oval wall! 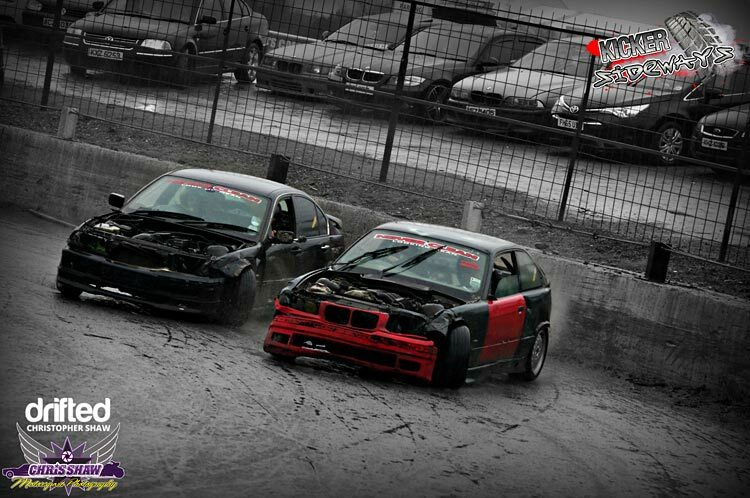 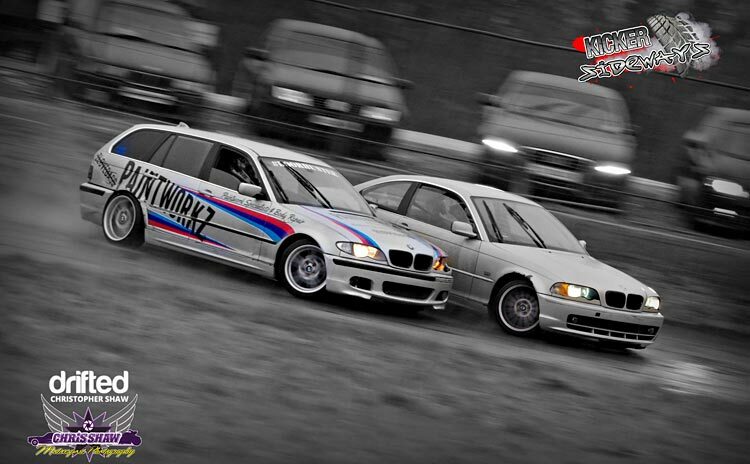 Drivers from all levels of talent take part in these events from those drifting 1 month to those drifting years. 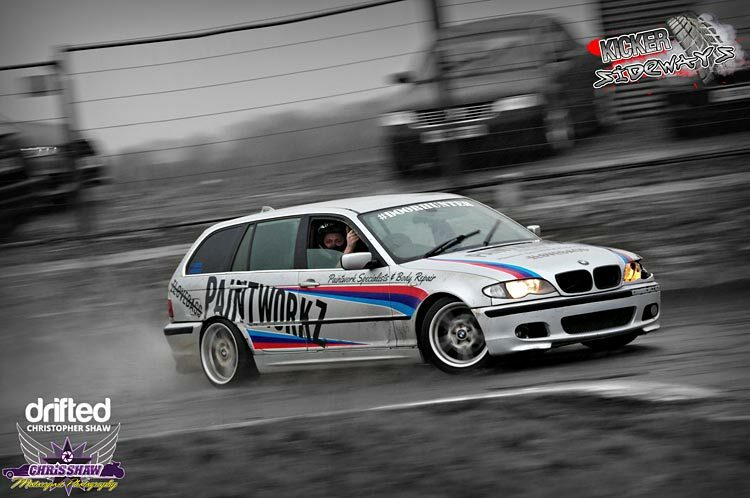 The weather wasn’t on the Kicker Sideways crew’s side on the day as it rained for a full 8 hours without stopping, however, it certainly didn’t stop the crowd from enjoying a good day’s Sideway Action! 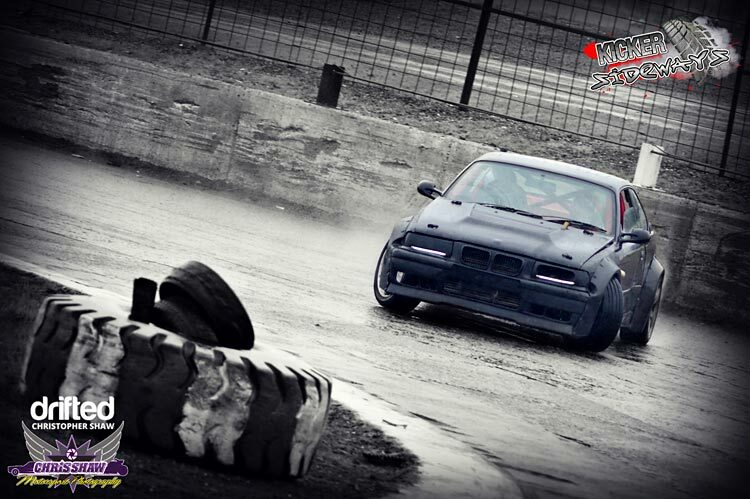 Full feature and story of the Kicker Sideways crew coming soon!